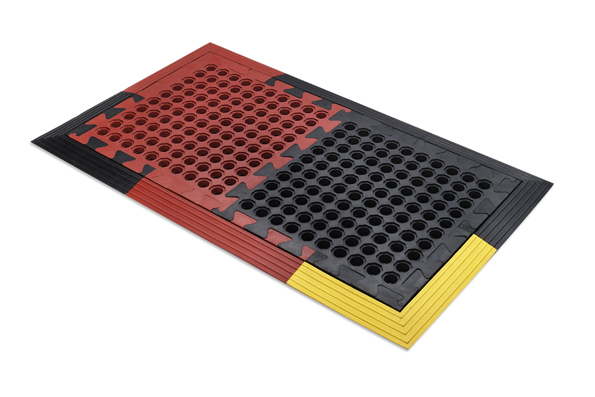 Made of a SBR/NR non-staining, non-marking rubber compound, your options are endless. 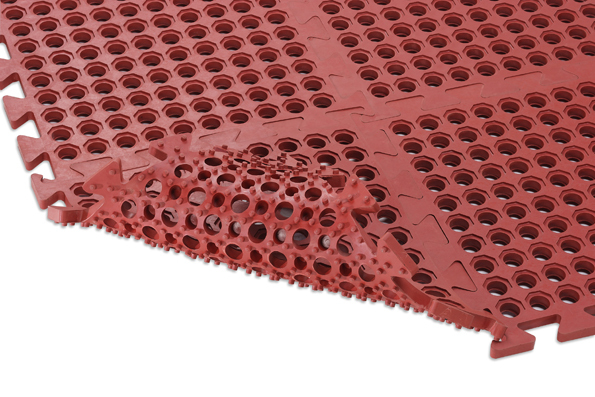 Nitrile has been added for grease and oil applications. 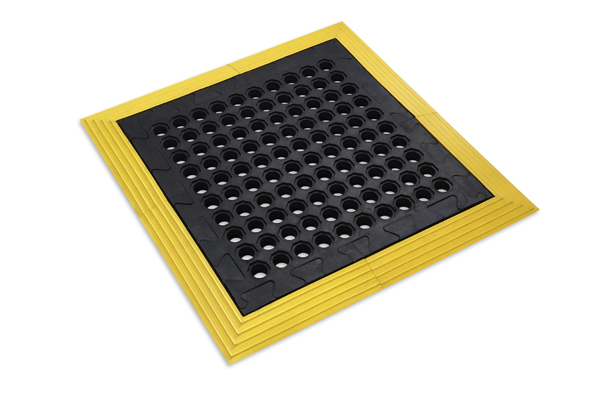 The Ring Tile was developed with significant drainage holes to allow fluids and debris to pass, while the Solid Tile was developed with anti-fatigue and stationary applications in mind. 16" x 16" x 3/4" [L x W x H]5 lbs.